Record Rack: A round-up of the week’s new albums, reissues and/or box sets. 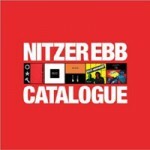 BACKSTORY: The five-disc Catalogue collects each of the reunited Nitzer Ebb’s Mute albums — That Total Age (1987), Belief (1989), Showtime (1990), Ebbhead (1991) and Big Hit (1995) — in a picture slipcase, while Compilation is a three-disc best-of/remix set that merges the 2006 collections Body of Work and Body Rework. 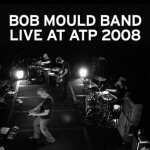 BACKSTORY: This 12-track live album, recorded Sept. 21, 2008, at All Tomorrow’s Parties New York, had been sold on Mould’s website for some time now (it’s now out of stock there), but receives a commercial UK release this week. The disc finds Mould and his bandmates running through solo material, Sugar favorites and Hüsker Dü classics.